Typical egg hunts not a challenge anymore? 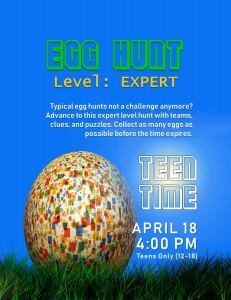 Advance to this expert level hunt with teams, clues, and puzzles. Collect as many eggs as possible before the time expires.